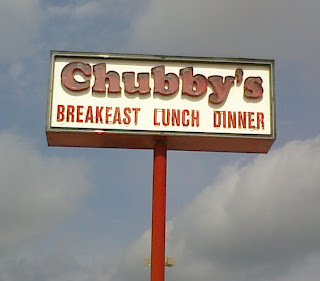 Sign of a Chubby's Family Restaurant in Dallas, TX. A look at their menu suggests that this isn't the healthiest place to eat. I guess you can't fault them, then, on the name of the restaurant. 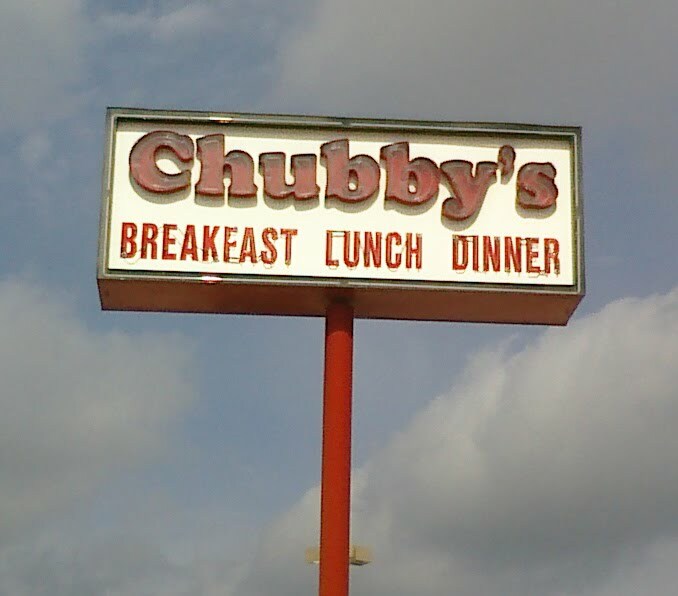 Just try not to think of the state's rising obesity rate as you enjoy your meal.